Do Catholics stand with Standing Rock? When my friend Mike Poulin went with two Sisters of Mercy to pray with a group at the Standing Rock Sioux Camp (officially, the Oceti Sakowin Camp) near Cannon Ball, North Dakota, he didn’t know what to expect. The Indians and their allies, calling themselves the “water protectors,” were protesting the federal government allowing construction of a private company’s pipeline under the Missouri River a half mile from the Sioux reservation border and on land considered sacred. By now, most Americans have seen the pictures of protesters marching through fierce blowing snow and Indians on horseback silhouetted against the Plains sky. And more troubling, a scene reminiscent of an earlier era: fire hoses turned on peaceful protesters. 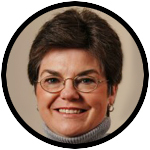 Poulin is the justice coordinator for the Sisters of Mercy, West Midwest Community. The Mercy contingent wanted to see for themselves what was going on at Standing Rock, particularly because the community has named five critical social justice concerns, including care of the earth. So when an Episcopal priest planned an interfaith and ecumenical prayer service in November at Standing Rock, Poulin headed north. With him at the gathering were Sister Aine O’Connor, a former Mercy Global Action coordinator at the United Nations, and another Mercy sister from Omaha. Organizers expected about 100 people, but 500 showed up. The group gathered at the Backwater Bridge, which was blockaded to prohibit protesters from getting near the construction site. When they arrived at the bridge, an overwhelming police presence greeted them. The Sioux Indian who met the Mercy contingent told them that protesters had sometimes seen men on the hill with guns poised as snipers. “He told me that someone probably had a gun on him right then,” said Poulin. Meanwhile, a helicopter, plane and drone appeared overhead. It sounded like a lot of firepower trained on a group of clergy and justice workers praying peacefully. Poulin said the first thing you see in camp is the protesters’ huge sign proclaiming no guns, drugs or alcohol allowed. The questions surrounding Standing Rock are complex. A history of broken treaties clouds the picture, as does a seeming unwillingness to listen to Indian concerns. The company selected Indian territory rather than areas with heavy white populations with little or no consultation, the tribe says. Then, of course, there is the broader and equally complex environmental issue. Yes, we all drive. But over 2 million miles of oil and gas pipelines cover the U.S. Much of that is aging and needs updating to comply with new safety standards. Do we really need more? Should our government’s efforts be turned toward reducing our demand for fossil fuel rather than continuing to accommodate its development? At this point, the Army Corps of Engineers has halted construction and called for more study. If the pipeline proceeds, it has to cross the Missouri River somewhere, and the thorny question of using eminent domain to obtain private land to profit a large corporation is arousing ire among others outside of the Native American community. There are other questions. Why do our government entities so readily militarize against their citizens, particularly minorities? And the National Catholic Reporter, and Poulin, both reported there were “a handful” of Catholics at the event. Why weren’t there more? I know a nun who marched at Selma in her flowing habit alongside priests in their clerical garb. Are Catholics prepared for action today in the great social challenges we now face?